A new analysis by the Center for American Progress and its youth advocacy partner, Generation Progress, shows that young eligible voters in the U.S. have the power to be the strongest advocates for undocumented youth in the midterm elections. Millennials and Generation Z youth are now the largest voting bloc in the United States ever, with 70 million young people, under the age of 36, eligible to vote in 2018. Ironically, in the U.S. undocumented youth tend to be more politically engaged and organizing mass movements than youth who are eligible to vote even though they are not eligible themselves. According to the analysis, if young eligible voters at large achieve the level of civic participation that undocumented youth have shown and actually vote for undocumented youth interests, then not only can they change results this midterm election season, but they can also help set a more progressive immigration agenda for the future. “Simply put, the numbers don’t lie,” said Nicole Prchal Svajlenka, senior policy analyst for Immigration Policy at the Center for American Progress. According to the analysis, there are more than 444,000 young eligible voters sharing the Land of Enchantment with almost 26,000 Dream-Act eligible young immigrants. This means that for every one Dream-Act eligible immigrant, there are 17 young eligible voters who can support them at the polls. One of these “17” is Uriel Martinez, the digital director for the New Mexico Dream Team. “Young undocumented immigrants don’t have a pathway to citizenship restricting them from making their voices heard at the polls. We must stick together and have their backs at the polls this November,” Martinez said. 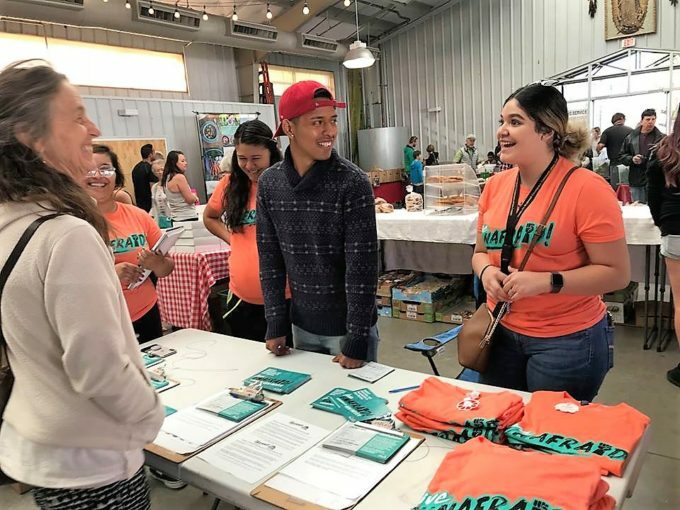 Here in New Mexico, both documented and undocumented youth have been working diligently and together to get out the community to vote through the New Mexico Dream Team’s Live Unafraid Civic engagement campaign. The goal is to not only get out voters who are eligible, but don’t usually exercise their right, out to the polls, but also promote the platform that New Mexico should invest more in the state’s public education and less on funding the inhumane industry that are private detention centers. “I am proud to be able to fulfill my civic duty to vote, while supporting my undocumented community by uplifting their voice in the midterm elections,” Martinez said.